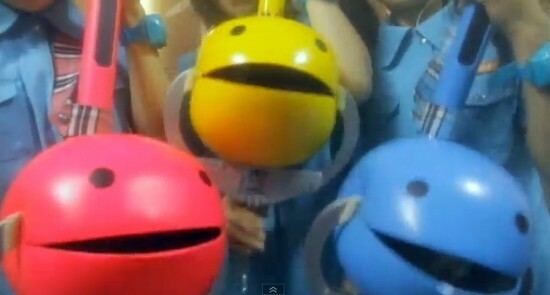 I traveled all the way to Japan’s Tokyu Hands to get one of Maywa Denki’s Otamatones in 2009. Now you can get them pretty much everywhere (including ThinkGeek for $35). 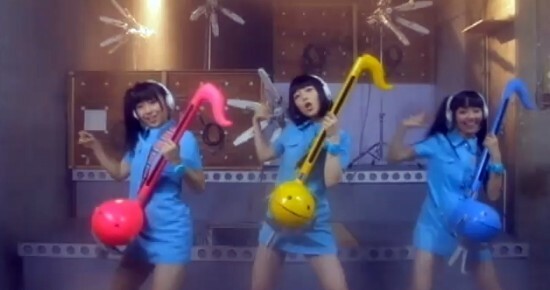 However, nowhere but on YouTube have I seen these giant CMY versions of the cutest musical instrument ever. It’s like the Japanese cousin of the 80s-era keytar. How can you not smile when you see this? Happy Monday.